Looks incredible, thank you Corina for taking part. 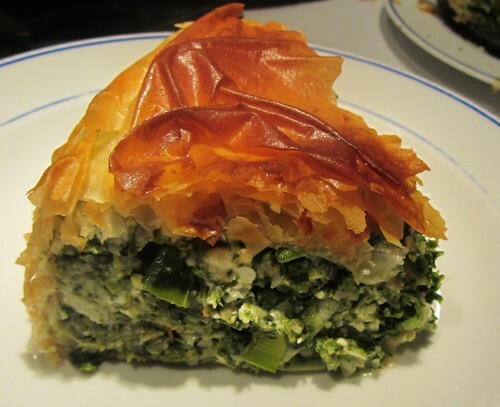 I love Spanakopita - and I was really grateful that it was linked up to this challenge as not only is it a comfort food in its own right, with all that flaky pastry and cheese, but it was a firm childhood favourite of Corina's. It's really easy to focus just on slow-cooked meats for sustenance over the winter. But some of my favourite dinners at this time of year are vegetarian: spinach and ricotta canneloni, Glamorgan sausages and rich, lentil soups. Last month I posted some cracking Caerphilly, Leek and Walnut filo parcels that I love to eat while they're just slightly warm from the oven. What are your favourite vegetarian recipes? It's such a shame you didn't get anyone else linking up as it's a great challenge. 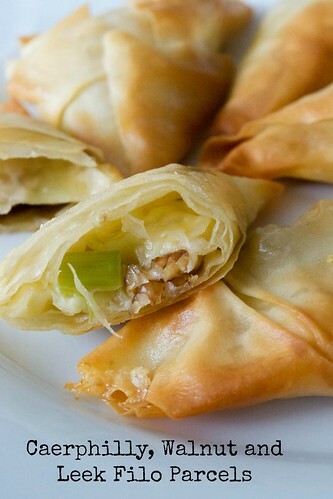 Your filo parcels look so tasty - definitely a comfort food too.